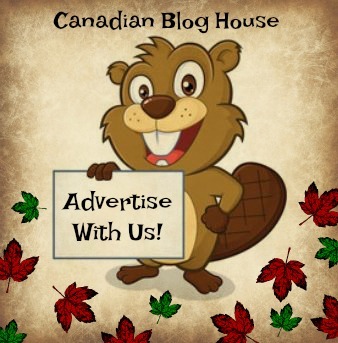 Canadian Blog House was invited by Visit Syracuse and The Great New York State Fair to “come find your great” this summer at their fabulous state fair. All opinions are our own. I first discovered how great New York State is when my mother took me across the Canada/US border as an 8-year-old to visit a small Northern New York town for the day. This trip was one of my first travel experiences, and a trip that left me with many fond memories. This summer, I jumped in the car and headed south with two friends, to Central New York, for a chance to “do our thing” and explore the greater Syracuse, New York area – and attend The Great New York State Fair for the very first time. Established in 1841, The Great New York State Fair was America’s first state fair. This “grand dame” of state fairs continues to grow bigger and better each year. Several attendance records were broken in 2018 – including on the day we attended the fair. According to Dave Bullard, State Fair Public Relations and Marketing Manager, 120 million dollars has been invested in The Great New York State Fair in the last 3 years. It shows. This is one heck of a great state fair. The fair has come and gone for another year but, why not make next year the year YOU find YOUR great at The Great New York State Fair! Everyone goes to a fair for the food and drink, right? Then there’s this bad boy – The Heart Attack (2 Hofmann hotdogs stuffed with chili and cheese and wrapped in bacon and deep fried – topped with cheddar cheese, chocolate sauce, jalapenos and a Hershey bar.) This concoction won the title of “Craziest New Food Of The 2018 Great New York State Fair“! Believe it or not, we actually convinced another fairgoer to order The Heart Attack in the photo above. We told him we would be writing a story about the food at the fair, so he graciously obliged. When asked if he would like to have his name and/or photo included here, he said a quick “no thank you!” and strolled off into the crowd – enjoying his decadent treat. Do you blame him? I’m not sure I’d want to be known for eating that either! I never thought I would find myself standing in a long line up for a baked potato but, that’s exactly what happened at the fair. Everyone LOVES these baked potatoes and, yes, they are worth the wait! These go down easy on a hot day at the fair…sooo easy! Ask anyone who has been to the Great New York State Fair and they will tell you…you’ve got to see the butter sculpture! “Your Milk Comes From A Good Place” is the fair’s 50th butter sculpture and pays tribute to New York State dairy farmers. Be sure to visit Taste NY in the Horticulture Building for FREE food and drink samples featuring some of the best products made and grown in New York State. You can meet the people behind the products, and even purchase the products if you wish to bring some home. Vendors at Taste NY change daily, so be sure to stop in again another day. I was shocked to learn from Dave Bullard that The Great New York State Fair has 10,000 animals on site during the 13 days the fair runs. Ten thousand! As an animal lover, I am always concerned about the treatment of animals, and I was very relieved to not only read this information but, to see how well the animals are treated first-hand. Not only did I witness a young woman, who was waiting to compete in a competition with her llama, warmly hug and kiss her llama, I also saw several cots set up in the building housing many of the animals. I was told some of the handlers/owners sleep there at night with the animals. Wow. Even if you are not a fan of rides, you must drop by the midway area and enjoy the view. Just look at all the colours! If you do enjoy midway rides, The Great New York State Fair has some fabulous, stomach-churning rides. 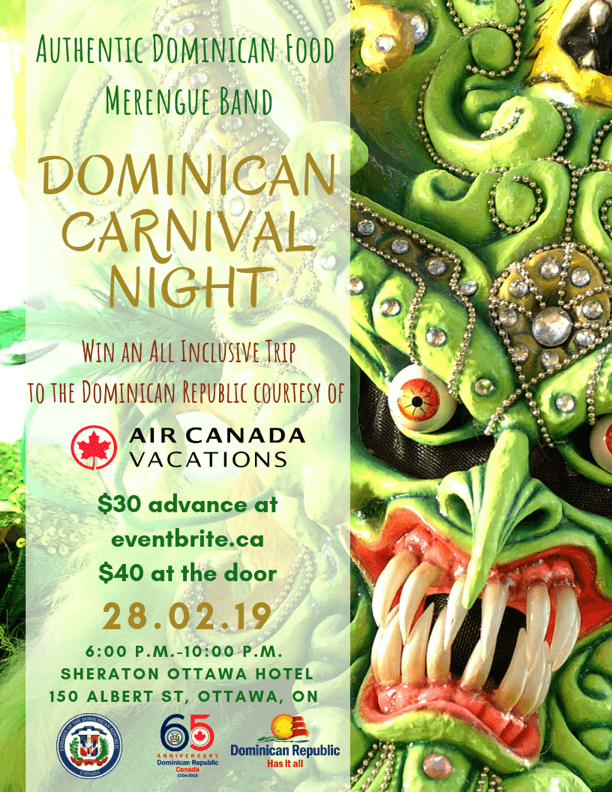 I probably don’t have to say this but…hit the midway first and enjoy the food and drinks after! As I wish to remain friends with Jenn and Mathieu who were on this trip with me, and to save all of you from harming your ears, I’m not posting the evidence of our time in the GEICO karaoke trailer singing along with Cindy Lauper. That video will only appear in said friends’ Facebook feed from time-to-time *wink* *wink*. It most certainly was fun though, as were the other games we played, and the sponsors we visited for a little bit of free swag. Be sure to visit the sponsors. In addition to the staff and volunteers, sponsors are the backbone of the fair. This, I found incredible. Your fair admission gets you free access to 2 shows daily at Chevy Court. You’ll hear a wide range of music over the 13 days of the fair – everything from country, to rock, to rap. This year’s line up included The Temptations, Blondie, Ludacris, Collective Soul, Counting Crows, and more! If you are a regular reader of Canadian Blog House, you will already know how much we love the city of Syracuse. Syracuse is the perfect host for the state fair! When you come to visit The Great New York State Fair, be sure to take an extra day or two to enjoy some of the fantastic sights, attractions, and delicious restaurant options Syracuse has to offer! 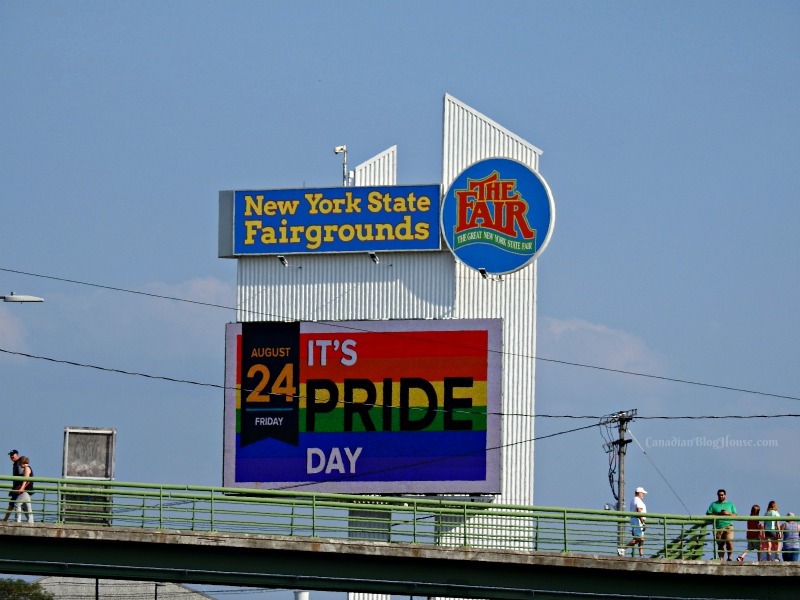 The Great New York State Fair is PROUD to be the first state fair in America to host an official Pride Day to celebrate the LGBTQ community. We were there on Pride Day but, unfortunately, missed the pride parade later in the day. The rainbow flag was flying proudly at the front entrance gate welcoming the LGBTQ community. The Great New York State Fair is huge. HUGE. So the fact that visitors have access to a FREE tram (complimentary thanks to a sponsor) that will take them from one area to another, is a great thing. There’s no better feeling than jumping on a tram, taking a seat, and enjoying the ride. Trust me, your feet will appreciate the tram! I can’t say enough about the great people of New York State. I have had the pleasure of meeting so many wonderful New Yorkers during my travels to this state, and this trip was no exception. In this politically-charged time, we couldn’t have felt more welcome than we did at The Great New York State Fair. 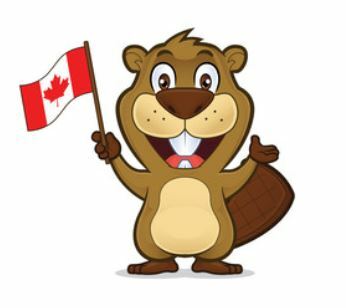 They LOVE Canadians at The Great New York State Fair – and they want to see you there! The Price – 10 entry $5 parking – children 12 and under are free! With a $10US admission fee to enter The Great New York State Fair, and a $5US fee to park your car, this fair is a bargain! Be sure to bring extra cash for some food (because you WILL want to buy some of those decadent treats!!) the Midway, and perhaps a little New York State product shopping. Got kids? Children 12 and under get in free! New Yorkers know how to treat their friends right. 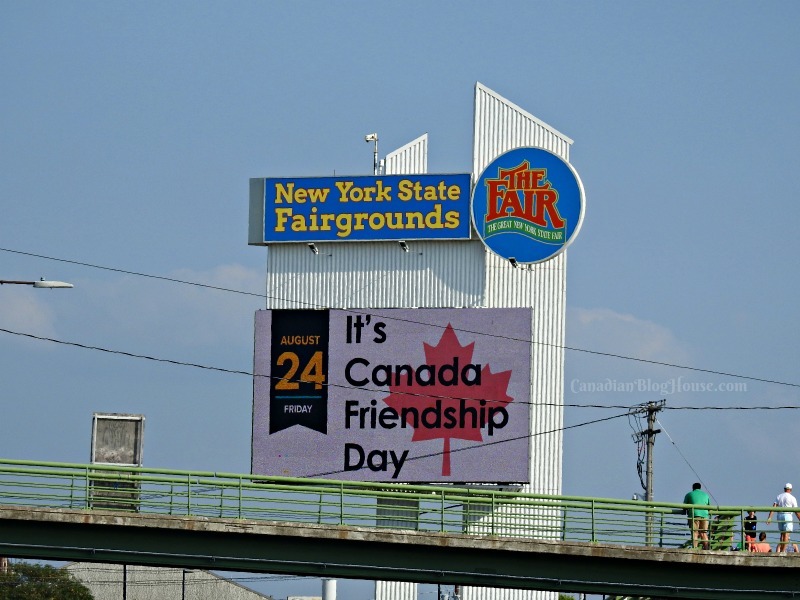 Check The Great New York State Fair website to find out what day they are hosting Canadian Friendship Day. 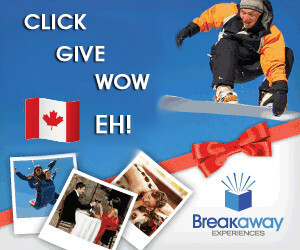 Bring your Canadian ID and you’ll get in for FREE! Dates have already been set for The Great New York State Fair for 2019 – August 21st-September 2nd. Mark it on your calendars and, next summer, go “find your great”! Have you ever been to The Great New York State Fair? 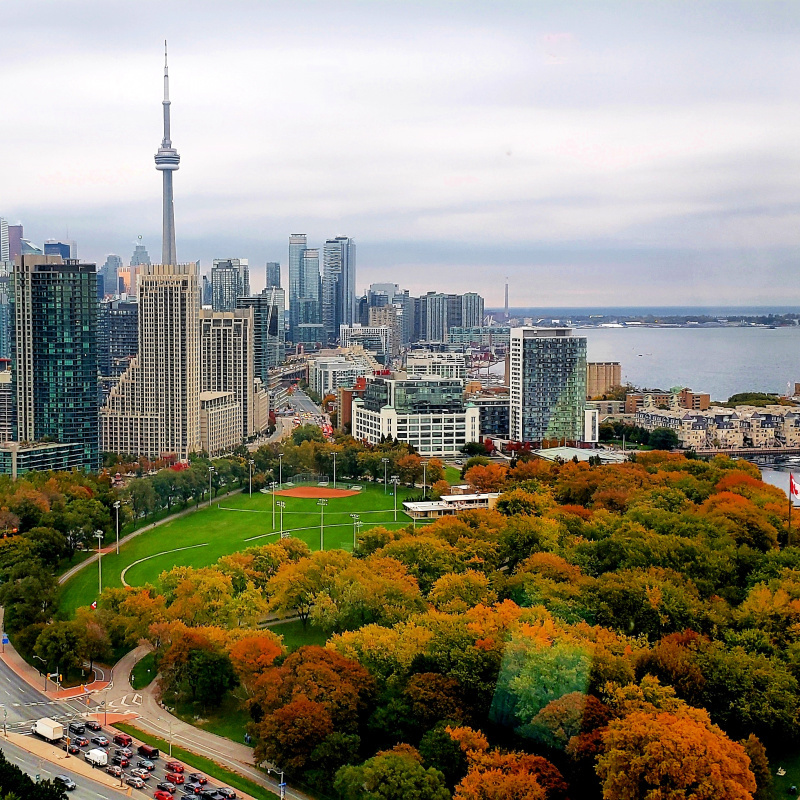 What was your favourite thing about the fair? Tell us in the comment section below! I’ve never really thought about going to the New York State Fair, but it sounds like fun. And really reasonably priced. Although some of those treats gave me indigestion just reading about them. lol. And we have always found our US friends to be very friendly when we travel there. (although some of those border crossing guards are a little scary. lol) Thanks Sandy. Neither had I, Elizabeth! All the years I could have gone 🙁 . It’s very reasonably priced! Even the parking! $5! Ha! You and me both. I LOVED the deep fried cheese curds and the deep fried Cadbury Creme Eggs (YUM) but, there was no way I could eat a whole serving myself. Luckily my friends let me try theirs! Thanks for reading and stopping by to comment, Elizabeth! Weeeeeeee! I’m so glad to hear that, Brenda!! Ha! I think I was more excited to go then most kids. I just love places like that. So much going on and so fun. Please tag me if you go and you share any photos. Would love to see them! Thanks for reading and commenting!